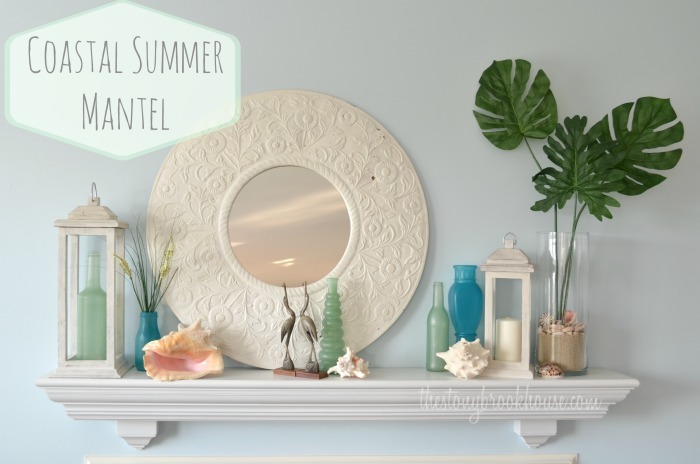 I tried something new for this mantel and I can't wait to share, I saw this paint on a fellow bloggers site and I knew I had to try it!! I searched everywhere for this spray paint and I could only find it at Hobby Lobby and Amazon. It is soooo awesome! 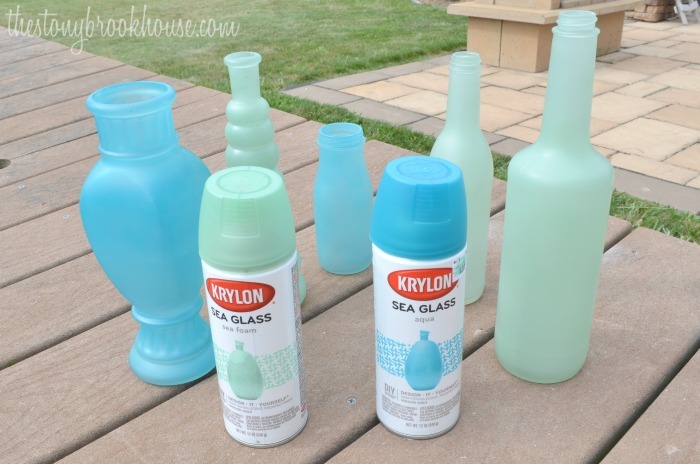 I purchased the Krylon Sea Glass in Seafoam and one in Aqua. Apparently, they have it online in Cornflower, Rose, Amber, Ice, Lemon, and Ruby! It's super easy to use, just like spray painting anything else. You just need a couple of coats to get even coverage. I love how they turned out! I knew I wanted to use them on my mantel, along with some other summery decor. They were soooo easy to make! 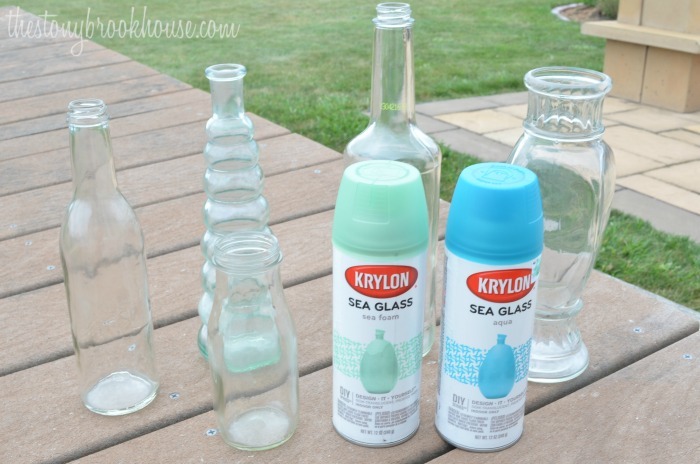 Don't they look summery here with the Sea Glass Bottles? 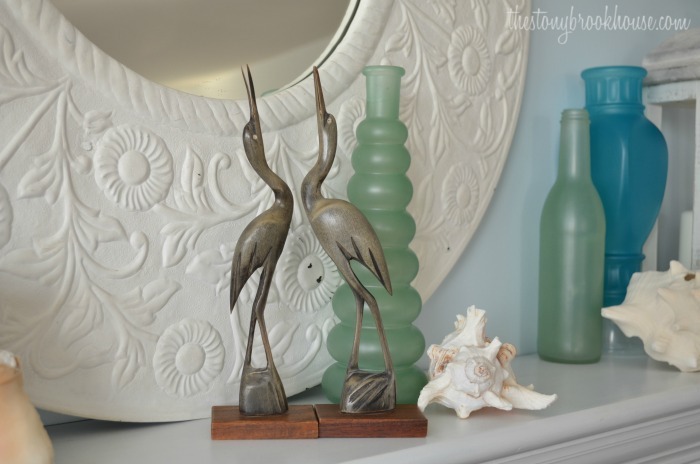 I found these two little stork lovebirds at a yard sale over 20 years ago... they are so cute! 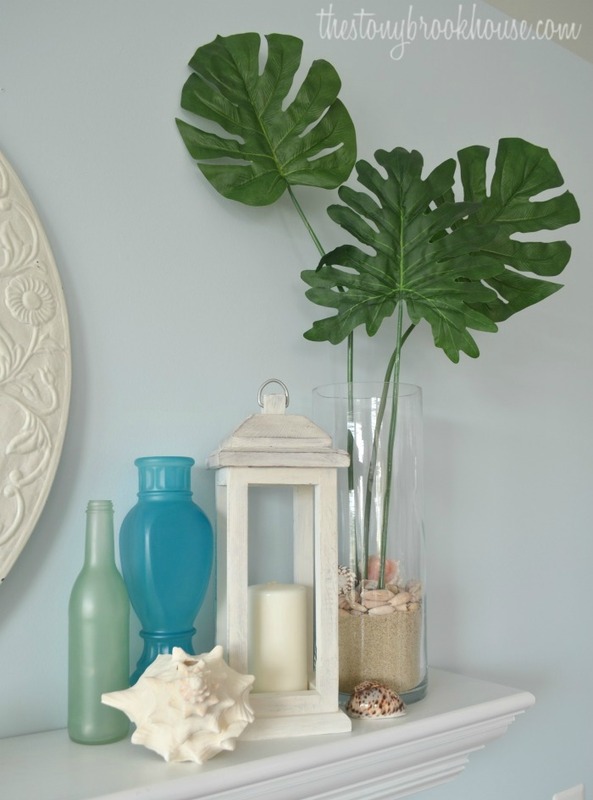 Then, my summer staple... the large hurricane vase with sand and shells... a couple of years ago I found those palm fronds at the Dollar Tree. I've left them like this... it works! 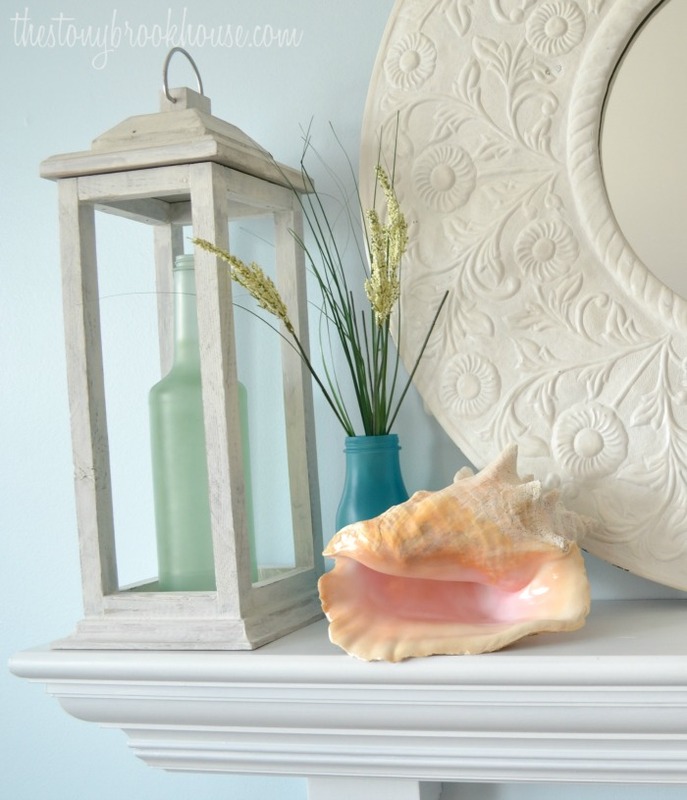 Plus the other Rustic Wood Lantern... painted Sea Glass bottles and another large shell I found on the beach. When I go to the beach, my favorite thing to do is hunt for sea shells. That little shell by the lantern is a special one to Hubby. 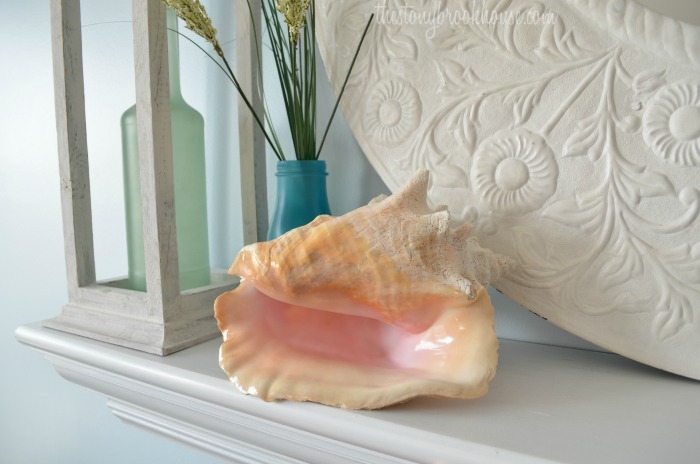 That shell was his Grandmothers, and she used to keep in on a tiny little shelf. Life is full of beautiful memories... Have a beautiful week.